When I first replaced the factory head unit with a Kenwood CD player, I simply used the metal "cage" included with the stereo and shoved it in the recess left by the Acura unit. This of course was very flimsy. 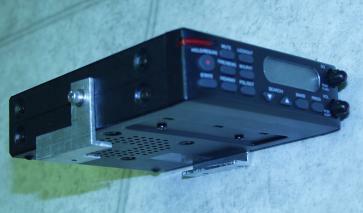 So I designed a custom mounting system to rigidly mount the CD player to the metal structure inside the dashboard. 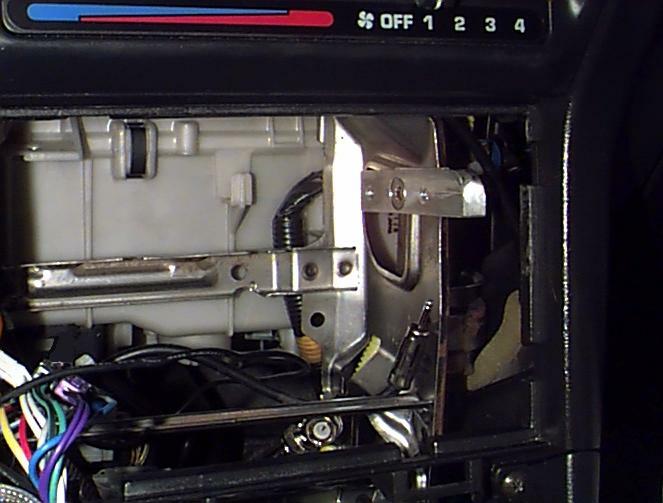 Two L-shaped brackets are attached to the CD player, and two straight brackets are mounted to the inside of the dashboard, so that the CD player slides into the opening. Shims are used between the dashboard bracket and dashboard frame to achieve a snug fit. 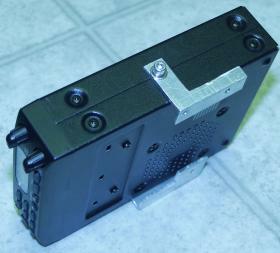 A third bracket is fastened to the rear of the CD player so that it can be bolted to the rear of the opening, where the original Acura stereo also was bolted in. I also wanted a bracket system to secure my scanner to the car, and since there was no easy aftermarket solution like the "cage"provided with aftermarket stereos (Uniden's method is to screw an ugly bracket into the top of the dashboard! ), a custom solution was the only alternative. So I machined two more brackets out of aluminum. They each bolt to the side of the scanner, where the scanner's normal brackets attach, and then to the metal bracket over the ashtray assembly.